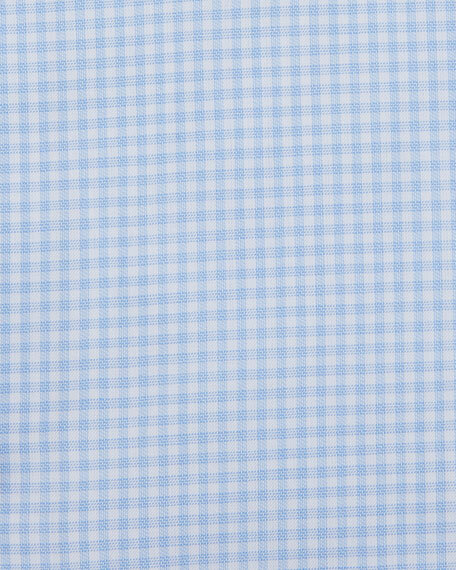 Ermenegildo Zegna Trofeo® Comfort gingham dress shirt. Canali basic twill dress shirt. From the Impeccabile Collection: Contemporary fit, made from naturally crease-resistant fabric. Spread collar; button front. Canali basic twill dress shirt. From the Impeccabile Collection: Contemporary fit, made from naturally crease-resistant fabric. Spread collar; button front. Rounded barrel cuffs. Shirttail hem. Cotton. Made in Italy. EXCLUSIVELY AT NEIMAN MARCUS From the Impeccabile Collection: Contemporary fit, made from naturally crease-resistant fabric. 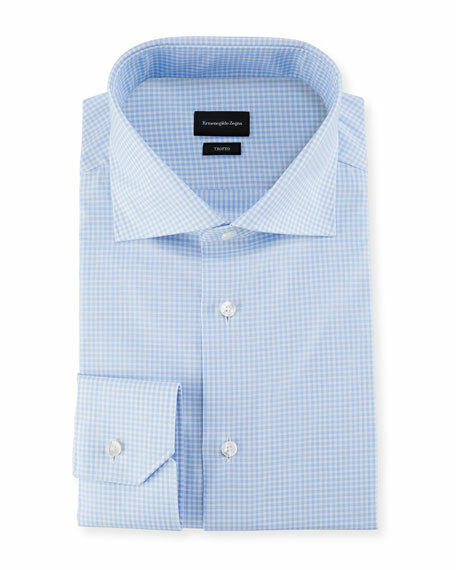 Canali woven dress shirt in Bengal stripes. Spread collar; French-placket button front. Rounded barrel cuffs. Shirttail hem. Cotton. Made in Italy. Ermenegildo Zegna wide-striped dress shirt in Trofeo comfort weave. Peaked collar; mother-of-pearl button front. Mitered barrel cuffs. Cotton. Made in Turkey of Italian materials.